Like most parents, I had dreams of what Piper would be like before she was born. I couldn’t picture what she’d look like necessarily, but I had things in mind that I hope she would love to do. Near the top of the list: reading. I loved, loved reading as a child, and it is a huge wish (goal?) for me to foster that enthusiasm in Piper. 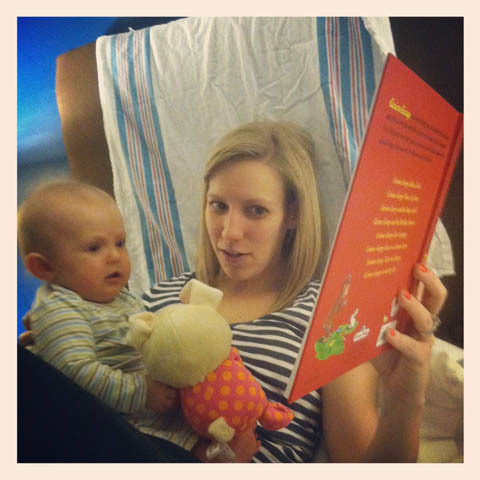 From the time she was teeny tiny (much too teeny tiny to understand...or maybe even notice), we’ve been reading to her. I’d lay her on my lap and point to pictures while I narrated. And she would mostly tolerate it...and occasionally border on enjoying it. 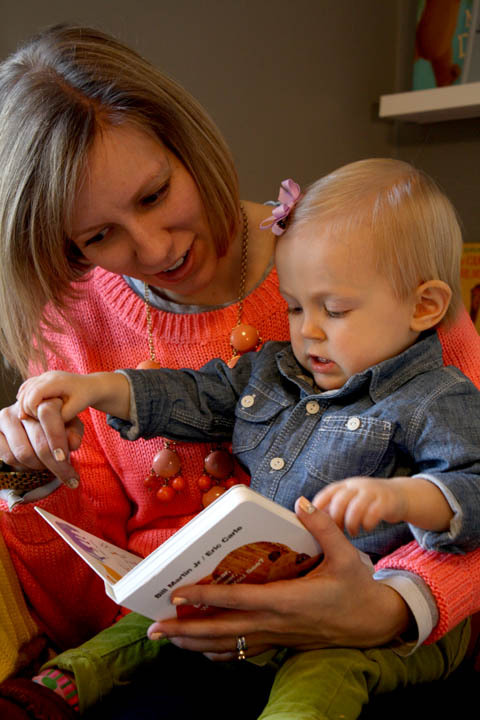 But as she left the infant stage, and became an increasingly curious (and wiggly) child, it’s been harder and harder to get her to sit still with a book. 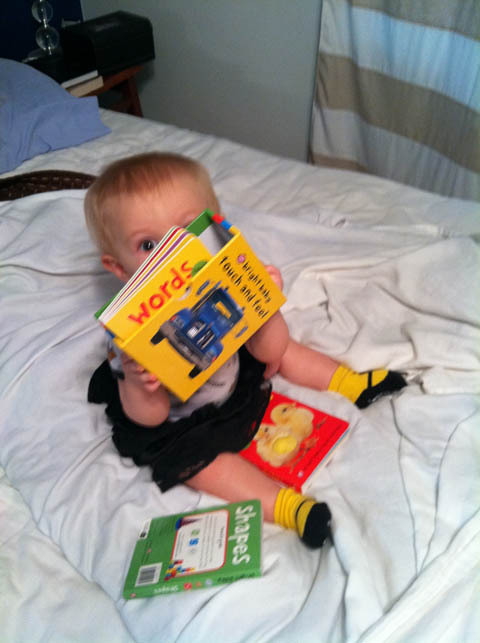 For months she wanted no part of reading....unless “reading” means flipping through pages as fast as possible, not listening at all, and basically using books as props to throw, or stand on. 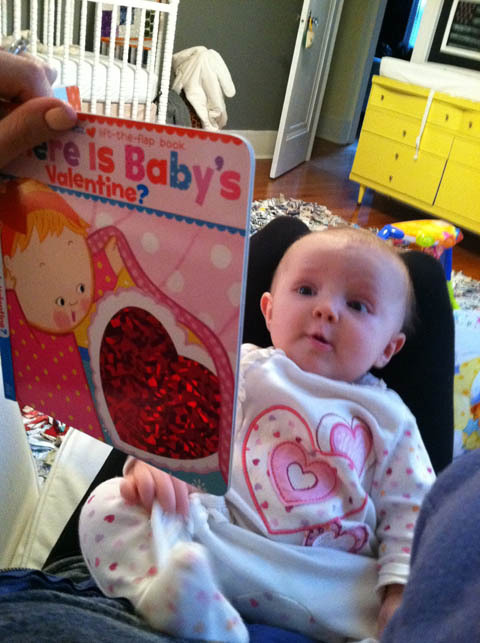 If that’s what you mean, then she was super into reading. But I kept trying. 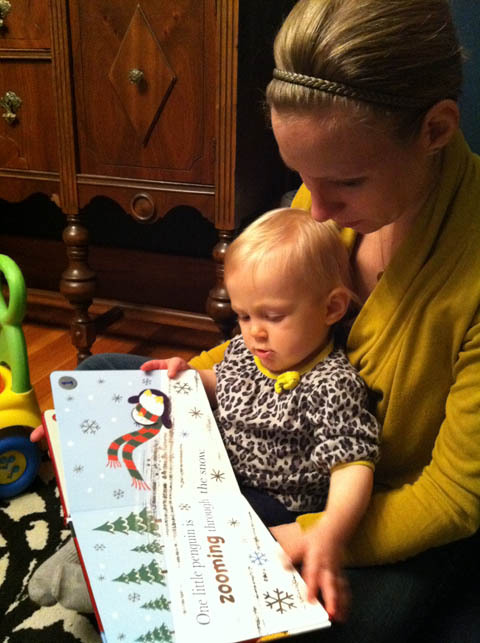 My best successes came if I allowed her to have a book of her own to tear through (sometimes almost literally), while I read a different book to her (but mostly to myself). 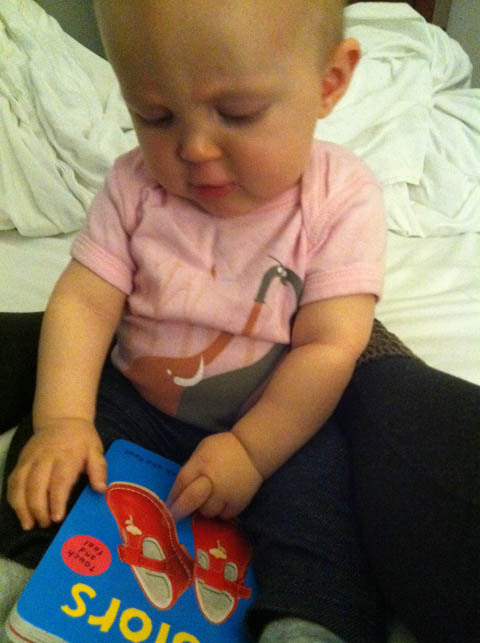 BUT THEN....In the last month....something happened, and she all of a sudden is enamored by books. Don’t get me wrong, she still flips pre-tty quickly, but in between all that frantic page turning, she actually notices the pictures. And knows there are words. And recognizes the animals. And points to her favorites. She is now obsessed with sitting on our lap. So every play session now involves her picking out a book (or a few if she can carry them) and toddling over to where we’re sitting. She then does a half turn, and slowly backs up until her legs hit mine, and plops her little rump down. If you’re sitting in a way that doesn’t create a formal “lap”, she is undeterred. She will climb and shift, back-up and plop as many times as necessary to get you to make her a little perch. It’s pretty much the cutest thing ever. 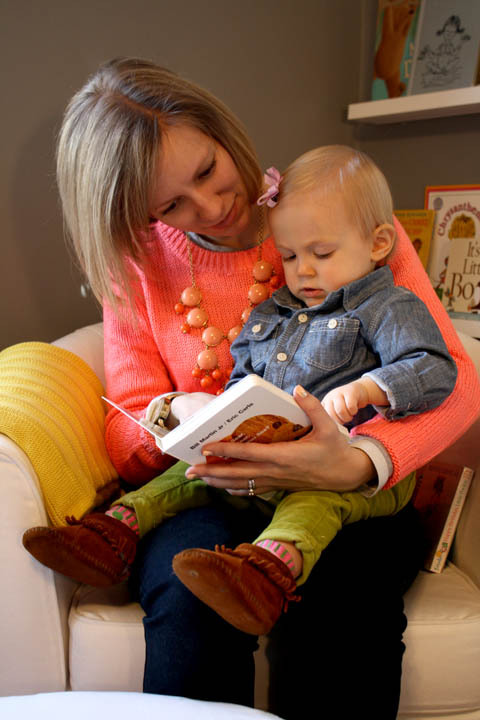 She has a rotating library of favorites, preferring mostly board books (because she doesn’t get in trouble for bending the pages), and anything with animals. She doesn’t have a ton of patience for long winded stories, preferring instead to just point at things she recognizes, and attempt to say their names or making their sounds. She’s a headstrong little thing (wherever would she get such a trait?) 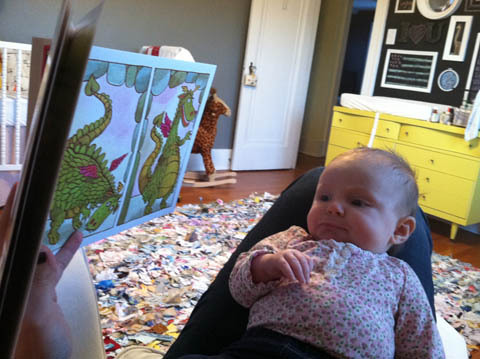 so we’re forced to follow her lead a bit when it comes to what to read, and the pace at which to read it. But as long as she wants to snuggle in my lap, book in hand....I’m a happy mama. I loved The Lion The Witch and The Wardrobe....I'm so looking forward to when Piper and I (and whoever else is in our family by that point!) 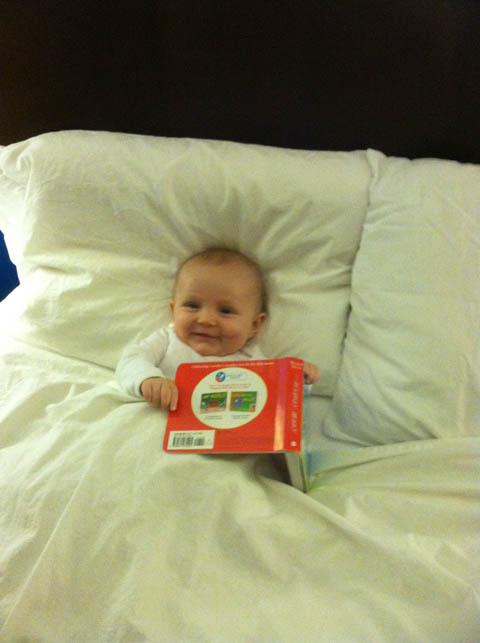 can snuggle up with a chapter book before bed. I'm sure kids' interests ebb and flow, so I'll keep encouraging and hope it sticks in the long run. Thanks....Your kids are going to be tearing through books faster than me in no time! Also, you should check out these books: Indestructibles They are...wait for it...indestructible. Whoa...I've never heard of those- but they're beautiful! And you can put them in the washing machine? Crazy! p.s. thanks for linking up!